Awesome! Did I ever mention I'm super jealous of the name you picked for your car? very cool, can't wait to see that logo embroidered! No you never mentioned that. Haha no one has mentioned it. Thank you, I am glad there is at least one other movie nerd in the group. This photo shows the 90 degree angled metal (Aluminum?) connection with the radiator hose on Michael's build Bob. Is this what most of you are doing? There must me a piece of rubber that cannot be seen on the engine side of the connection. I would guess. But this is Michael Spreadbury so it's most likely something better like welded connection to cast metal... Looking for part numbers for radiator hoses being used. 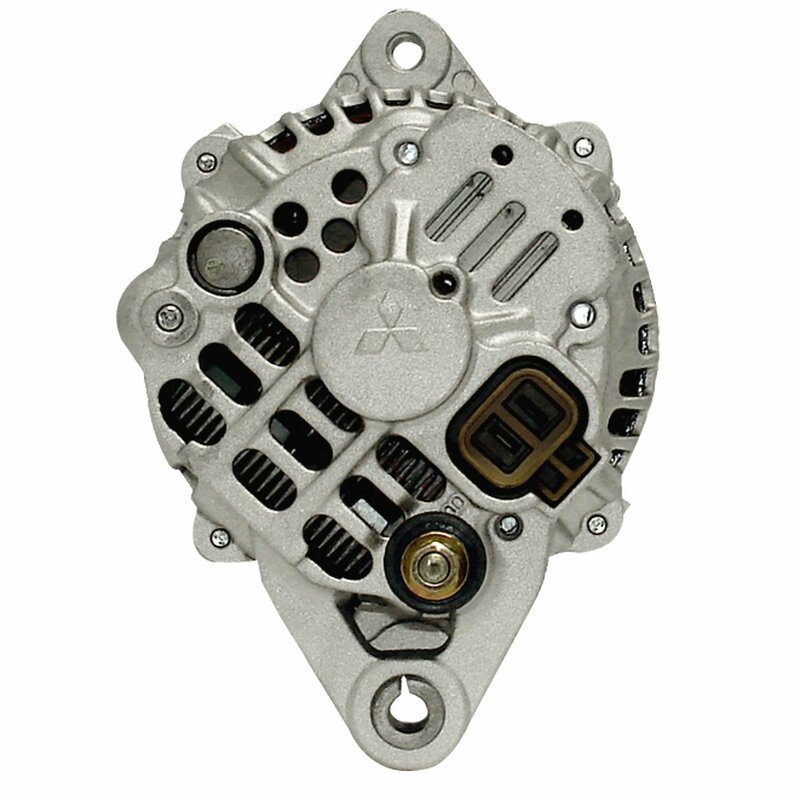 You should not have had to re-wire your alternator-- the beauty of the Subaru Justy alternator swap is the wiring is exactly the same as the Nissan SR20DE(T) wiring and uses the same plug. I used flex hoses. It looks a little busy. Measure the outlet sizes at the radiator. Thanks guys, I'm having NAPA deliver my upper hose in few min and I am using the same hose as bobd on the bottom. Well guess who has a roadster engine running? That's right, after more than two full years I have a running engine! 3. I did not have my distributor even close to being installed correctly. (Once again Spreadbury came thru for me!) Check out this video and others like it on youtube to show the correct process. I want to take a moment to thank all of you that helped me over the last two years on this site. I could not have got here without you. I can't tell you how good it feels to have the engine running, only those who have been down this road truly know. Still tons of stuff to do though. As for this week, my beautiful stainless muffler (Thank you Jim at Datsun Restoration Products and Spriso Motorsports) gets mounted. Today is all about figuring out my cold air intake. Haven't found a shop in this town wants to take it on yet but who knows, today may be the day. I finally found a local welding company to fabricate my cold air intake tubes. What do I need to tell them about flex? I found several rubber 2.75" to 2.5" reducers on amazon. I'm sure they must flex different from each other and was wondering if I need to worry about that. The photos on viewtopic.php?f=2&t=31013&p=285199#p285199 show the s14 with two rubber connections so I guess that's enough flex. Also, I saved the four bolt metal MAF mounting bracket from the plastic housing on the OEM box and was wondering if anyone used it to mount their MAF to the passenger side radiator wall. This bracket has a 3.25" ring to start the 90 degree turn for the filter. If this isn't how you did it, how did you mount the MAF to the wall and how did you connect the 90 degree tube? I'm sure we can come up with something that works. Haven't seen pictures of the connection on the forward part of the radiator wall. Scroll up to my pic of radiator hoses. My engine is a s13 sr20 so the intake tubes will be different from your s14, but how I got there might be of help. I mounted the MAF on the radiator core support and used various silicone adapters and one flex at the Maf. All had to be cut to fit. I purchased some PVC fittings, 2" I believe in 45, 90 degree and straight couplers. Cut the straight coupler to about 1" length and sanded the outside so it would easily slide into the angled pieces. Then I played with different combinations of angles and couplers to get from the throttle body to the MAF. Once I got the mock-up right, I went searching for pre-bent aluminum tubing, a lot of choice on the internet. I found that the 90 degree ones I needed were not a tight enough bend, so I found cast aluminum ones that worked. Found a bung for the necessary tubing. Once I had everything needed, I took my mock-up and parts to a welding shop that TIG welded everything for me. Congratulations Michael! Isn't it great (?) when someone can fix a problem just moments after looking at it? I had a similar experience with ignition wires when I first built my U20 (first engine I ever built). The carbs (Mikini, had no experience with them) kept snarfing at idle, and the car topped out at 80mph and seemed weak. Had a mechanical engineering friend with lots of car experience over to help, still can't figure it out... until the guy who was teaching me body work dropped by, took one quick look, then corrected the sparkplug firing order... Boewupp! go the carbs, problem solved. It helps when you're actually firing the cylinder on the compression stroke! Just watched a very long youtube video (4 hours) that I wish I would have found before I started my engine swap. It's for a SR20DET S13 but WOW! So much information I learned the hard way or by bugging people that could have been avoided. Step by step swap, not on a Roadster but most of it is relevant to our cars. A must watch for guys like me that are learning as they go. Maybe this should be placed in the tech wiki? starting to make the intake. Man this is a tight turn!